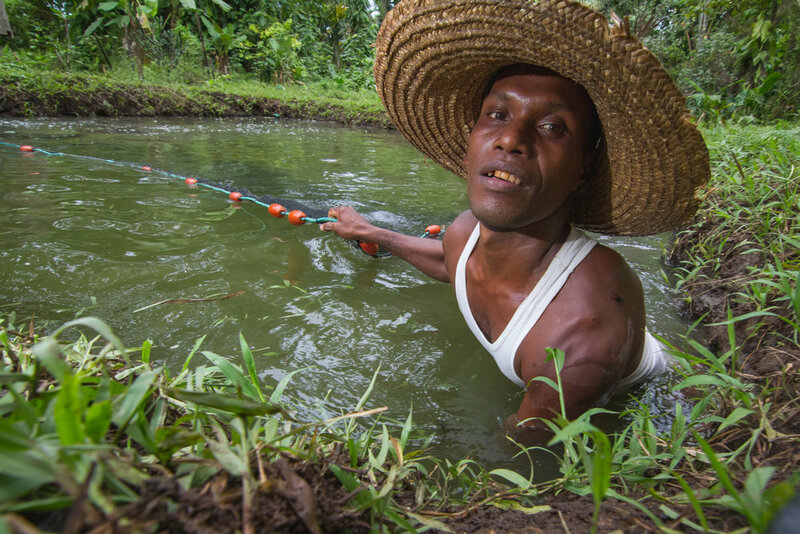 In the Solomon Islands, household tilapia aquaculture through a typical pond production of 726-1819kg of fish/ha/year has the potential to contribute to rural livelihoods through food and income. However, this aquaculture production has, to date, failed to translate into sustainable tangible benefits on the rural farmers. This research explores the social dimensions of rural tilapia farming in the local context, and how geographic locality and access to market influence choice and access to fish source-protein. Firstly, it seeks to understand how and why people adopt and sustain tilapia farming. Secondly, we aim to identify what observed and potential impacts tilapia pond aquaculture has on people’s livelihood. Thirdly, we will investigate how geographic locality and access to market influence the choice of fish source-protein people consume. Finally, we will identify barriers that limit development of the sector, and to seek opportunities for enhancement of tilapia aquaculture in the Solomon Islands and the Pacific more broadly. Funding: John Allwright Fellowship Scheme - Australian Centre for International Agricultural Research and James Cook University International Graduate Scholarship Scheme.